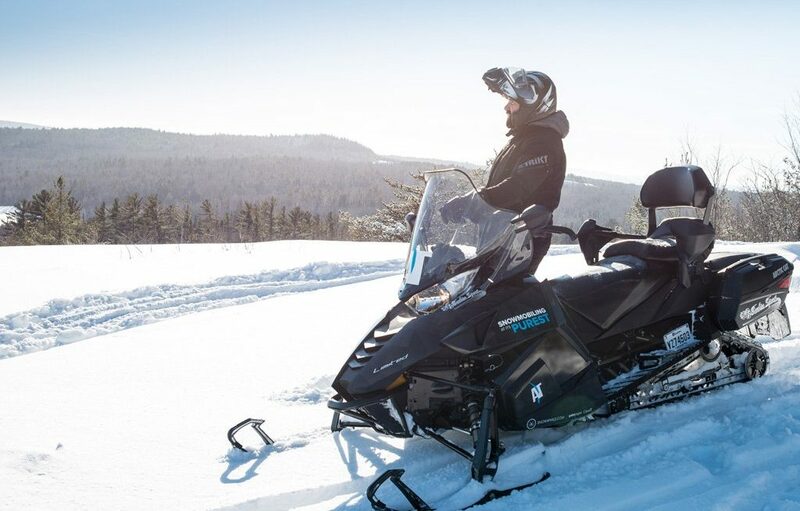 For many years, Tourisme Abitibi-Témiscamingue has been helping visitors access one of the most beautiful and vast territories reachable only by snowmobile. Over this time, we’ve been asked many questions. So it seemed like a good idea to offer you a sort of “best of” in the form of a Frequently Asked Questions post that is as informative as it is fun…. 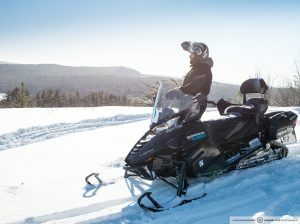 Q: Where can I get a Québec snowmobile trail pass? A: Residents of Abitibi-Témiscamingue should buy their trail pass directly from snowmobile clubs in the region. Visitors can get their trail pass several ways: directly through the Web site of Tourisme Abitibi-Témiscamingue in the Trail Permit section, by telephone at 1 800-808-0706, from sales outlets in Ontario or directly from snowmobile clubs in the region..
Q: Do I need civil liability insurance to ride snowmobile trails in Québec? A: No. When you by your trail pass, snowmobilers who belong to the FCMQ are automatically covered by a $1,000,000 civil liability insurance policy. By including this insurance in the cost of the trail pass, the FMCQ protects each of its members in case of an accident. But that doesn’t mean you should go wild… Safety first! Q: Can I get a refund if I already have civil liability insurance? A: If you’re a resident of Québec, the answer is no. Visitors to Québec who already have civil liability insurance can get a refund on part of the price of their annual trail pass ($45) by following the procedure in the insurance document that comes with the pass. Q: What’s the minimum age to operate a snowmobile on Québec trails? A: The minimum age to operate a snowmobile on Federation network trails is 16 years of age. So the young’uns may have to wait a bit. Snowmobilers aged 16 to 18 must hold a certificate confirming they have the knowledge necessary to operate a snowmobile. For more information, visit the Web site of the Fédération des Clubs Motoneigistes du Québec (French only). Q: What are the main access routes to the region by snowmobile? 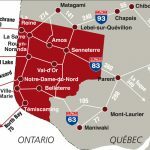 A: From Québec City, the main trails to get to the region are 93 to Lebel-sur-Quévillon, 83 to Clova, 63 to Domaine and 43 to Rapide des Joachims. From Ontario, points of entry are from North Bay, New Liskeard, Kirkland Lake and Cochrane. Q: Where can I get an Abitibi-Témiscamingue snowmobile trail map? Call 1 800-808-0706, and Ann will be happy to take your address. Through the Tourisme Abitibi-Témiscamingue Web site in the Publications section. By signing up for the Tourisme Abitibi-Témiscamingue snowmobile newsletter and checking the appropriate box. So there’s no reason to make do without a snowmobile trail map! A: To plan a stay in the region with the best chances of top conditions, we suggestion you book from January 15th onward. Of course, conditions are often spectacular before that date, but you’d be taking your chances…! Q: Is the region well-served in terms of amenities (gas, dealers, hotels)? A: Yes! The region has all of the amenities you need to enjoy snowmobiling – and plenty of them. However, it’s still smart to check the distance between gas stations on some regional trails, for example on trails 396 and 386. The various amenities available are indicated on the trail map, which is updated yearly. You’ll also find this information on the Tourisme Abitibi-Témiscamingue Web site, including all of the special packages for snowmobilers in the region. For information about specific areas, contact the local snowmobile club. Q: And to wind things up, the most important question of all: what’s the number 1 snowmobiling destination in North America? If you have questions that weren’t answered here, call 1 800-808-0706 or write info@atrat.org, and a Tourisme Abitibi-Témiscamingue adviser will be happy to help you! And for everyone else, glad you stopped by! …But just to be sure you’ll be ok. I ask my colleague Ann to contact you. Have a nice trip in Abitibi-Témiscamingue! Hi I heard that there is a free riding weekend in January 2018. Is this correct? If so how would I get a pass for the weekend as I am very interested in riding the wonderful trails in the Abitibi-Témiscamingue area. It’s right! And, we will be happy to have you. You will love our trails! My colleague wrote an article on the Open House Event in which you will find all the information you need to get a pass and plan your trip in Abitibi-Témiscamingue.